A mother has described her daughter's tragic last moments as she collapsed and died from sepsis, despite being diagnosed with a chest infection. Chloe Christopher died on New Year's Eve in 2014 after developing the life-threatening illness. The 17-year-old student, of Cwmaman, near Aberdare, Wales, was thought to have been suffering a chest infection at the time. She collapsed and told her mother Michelle: "Mam, I'm frightened, I don't feel very well." Chloe’s mother Michelle is now speaking about the tragedy to urge people to learn to recognise the signs of sepsis. She said: "It was so sudden; one minute laughing and joking, the next she said she felt unwell and a bit scared," she said in a video by the Welsh Ambulance Service. "She then collapsed in front of us. "Hearing the words 'Mam, I'm frightened, I don't feel very well' will stay with me forever. "I phoned for the emergency services immediately and even though we didn't know what was happening, we knew it was serious. "Chloe suffered a cardiac arrest in front of us, and having to try and perform CPR on your own daughter was indescribable. "The emergency staff were amazing, and tried their utmost to save Chloe but to no avail." She added that Chloe seemed to be suffering from a cold or the start of a chest infection during Christmas that year. "She was a little lethargic with some aches and pains, what you could describe as a typical teenager moans and groans," she told the film. "It seemed nothing to worry about." Chloe spent the evening of her death with one of her closest friends "laughing and joking" and looking forward to a fancy dress party for New Year. Michelle said: "They were both together as Chloe rapidly deteriorated. "It was so sudden; one minute laughing and joking, the next she said she felt unwell and a bit scared." Sepsis occurs when the body's response to an infection injures its own tissues and organs. It can lead to shock, multiple organ failure and death, especially when not recognised early. 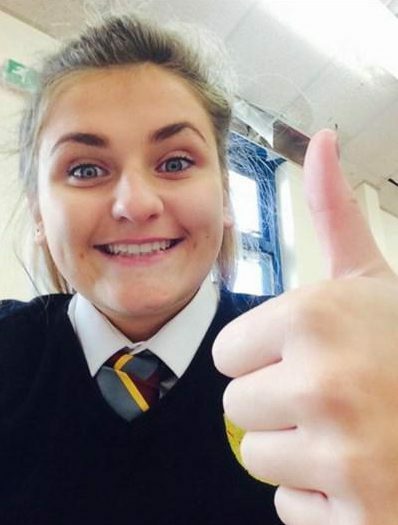 The family were first aware that Chloe, a student at Aberdare Community School, had developed sepsis at an inquest into her death five months later. Michelle said: "We heard that Chloe had signs of a urine infection which turned to sepsis, led to multi-organ failure and then cardiac arrest. "Since Chloe's passing, it's been my passion to raise awareness and to help educate the public on the signs of sepsis. "It is estimated that sepsis kills around 44,000 people in the UK a year; it's bigger than breast, bowel and prostate cancer put together. "By doing this, it helps keep our beautiful Chloe's memory alive, hoping that maybe we can save a family going through what we have." The Welsh Ambulance Service is calling on people to seek help immediately if they suspect the signs of sepsis. Andy Swinburn, assistant director of paramedicine at the trust, said: "Sepsis is a serious condition that can initially look like flu, gastroenteritis or a chest infection.